H. Rick Bamman - hbamman@shawmedia.com Orchestra director Rick Rohde conducts the opening number of a dress rehearsal for Huntley High School’s annual all-school musical "Legally Blonde The Musical." H. Rick Bamman - hbamman@shawmedia.com Assistant satge manager Leslie Allen speaks with other crew members back stage before the start of a dress rehearsal for Huntley High School’s annual all-school musical "Legally Blonde The Musical" on Wednesday. 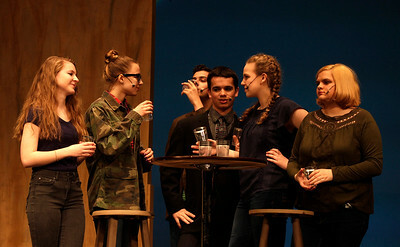 The production at the Performing Arts Center stage runs April 28 through April 30. 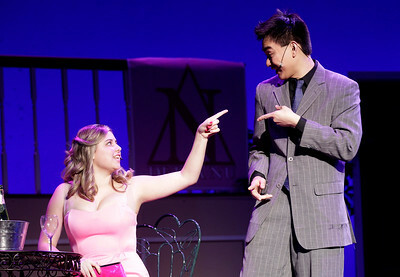 Based on the hit movie Legally Blonde, the musical version follows college sweetheart and homecoming queen Elle Woods, who doesn’t take no for an answer. Performances will be held April 28, 29, and 30 at 7:00 p.m., with a special matinee at 3:00 p.m. on April 30 in the Performing Arts Center at Huntley High School. H. Rick Bamman - hbamman@shawmedia.com Cast members sing and dance during the opening number of "Legally Blonde The Musical" dress rehearsal at Huntley High Schoolon Wednesday. H. Rick Bamman - hbamman@shawmedia.com Elle Woods played by Alexis Mete and Warner Huntington lll played by Nic Mule rehearse for Huntley High School’s annual all-school musical "Legally Blonde The Musical" on Wednesday. H. Rick Bamman - hbamman@shawmedia.com Audience members react during a dress rehearsal of Huntley High School’s annual all-school musical "Legally Blonde The Musical" on Wednesday. chased at the door 60 minutes prior to show times or online by selecting Performing Arts Center at [ https://huntley.revtrak.net/tek9.asp ]https://huntley.revtrak.net/tek9.asp. 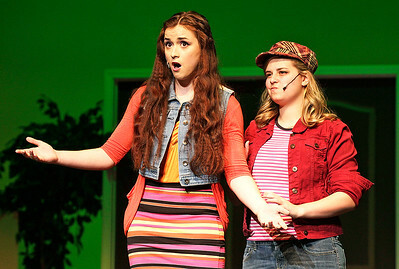 H. Rick Bamman - hbamman@shawmedia.com "Legally Blonde The Musical" cast members perform during a dress rehearsal at Huntley High School’s Performing Arts Center on Wednesday. 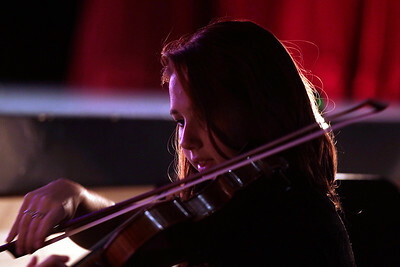 H. Rick Bamman - hbamman@shawmedia.com Orchestra violinist Natalie Trzeciak performs during a dress rehearsal for Huntley High School’s annual all-school musical "Legally Blonde The Musical" a the Performing Arts Center. 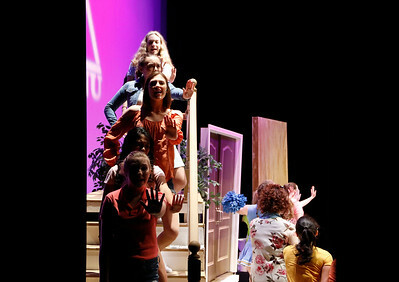 Cast members sing and dance during the opening number of "Legally Blonde The Musical" dress rehearsal at Huntley High Schoolon Wednesday.